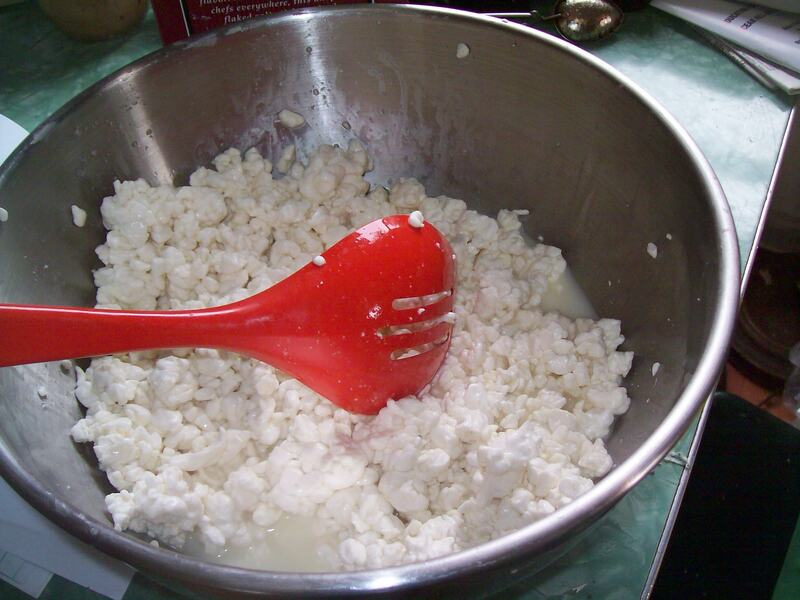 This entry was posted in cheesemaking and tagged cheesemaking. Bookmark the permalink. Just finished you book, husband is reading it now. really wonderful and left me feeling so happy and inspired. we live in new orleans and are moving towards something resembling urban homesteading, haven’t figured it out yet. chickens right now, and hopefull dairy goats next. Just wanted to say what a wonderful book, and thank you for the happiness it brought me . And now we understand why goat cheese is not cheap. All I can say is WOW. Totally impressed. Love reading about this! I have been trying mozzarella but not having much luck. I am pretty sure it’s not the milk (as I have just seen the milk listed as a good one to use for cheesemaking + have even called to ask what temperature they pasteurize at!). Once I’m not pregnant I’ll try again–it’s hard to stir a gallon of milk though, that may be the problem. 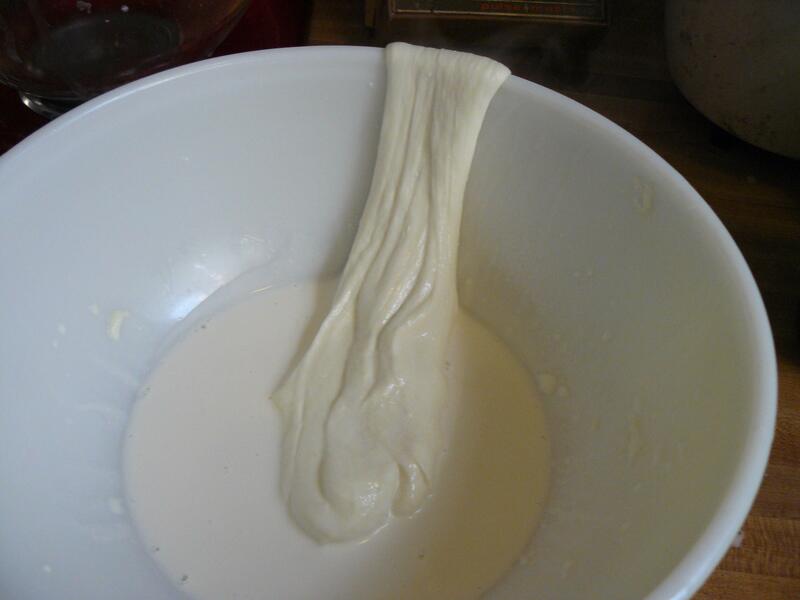 Anyway, while my practical cheesemaking know-how is not much to write home about, I have read through several cheese books and I have read that if you use a particular method of making mozzarella, the whey can then be used to make ricotta. 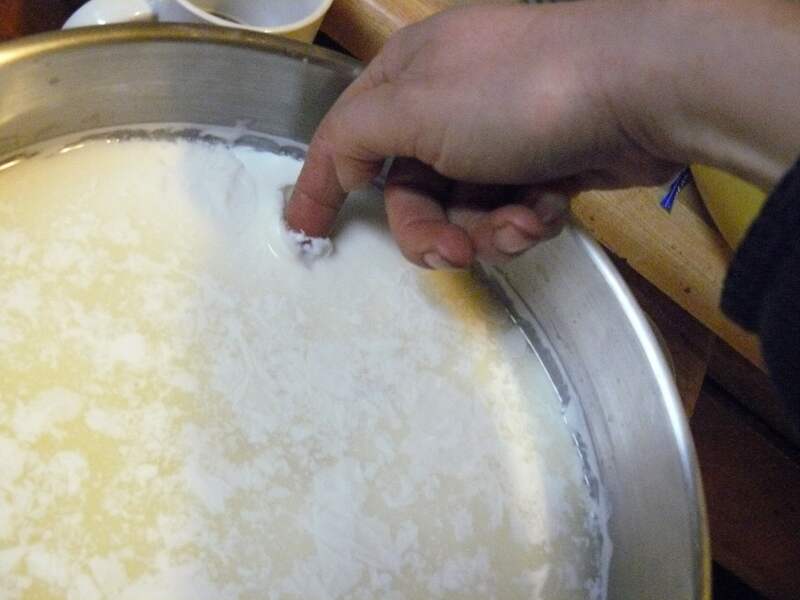 (Ricotta I believe means cooked twice which indicates the origins a bit). 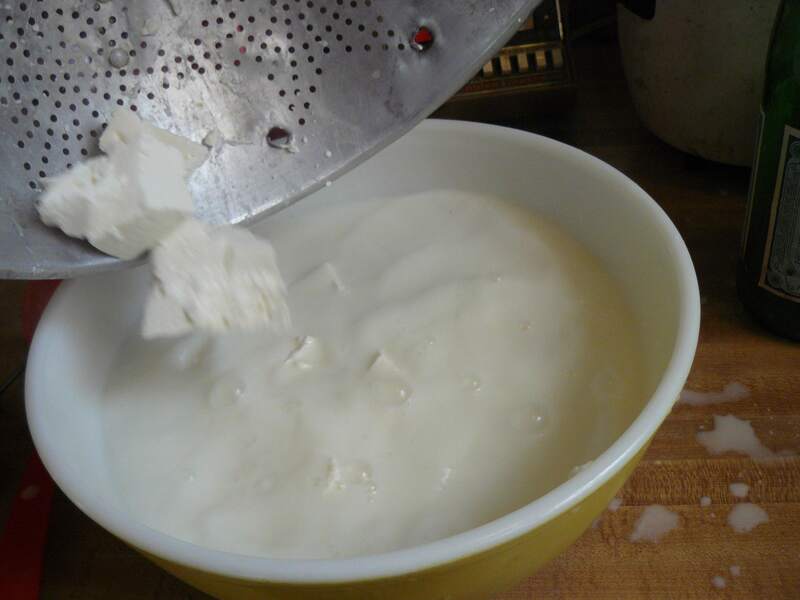 I remember that little fact because I thought it was so cool that the “byproduct” of mozzarella could make a cheese like ricotta–definitely appealing from a “waste not want not” perspective. Ricki Caroll’s book has the methods in it. So you’re using duck fat instead of paraffin, right? How long do you think you can keep the cheese around before the fat gets rancid? I wonder if you got more mozzarella because of a higher fat content in your milk. Congrats, that all looks delicious. I’m glad you posted this- I was hoping for cheese making info. You mentioned something in an earlier post about a ‘cheese closet’- could you give more info on that? Your cheese looks great, BTW! I love cheese…. Just wanted to say I love your website and your book! And also I wanted to ask you a few questions about cheese. 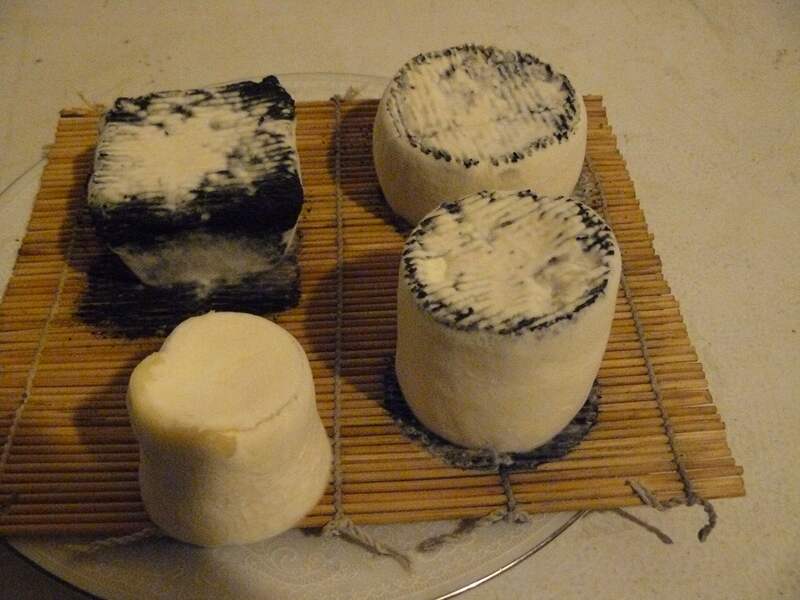 I have been a cheesemonger for the past five years and am finally getting around to making cheese. 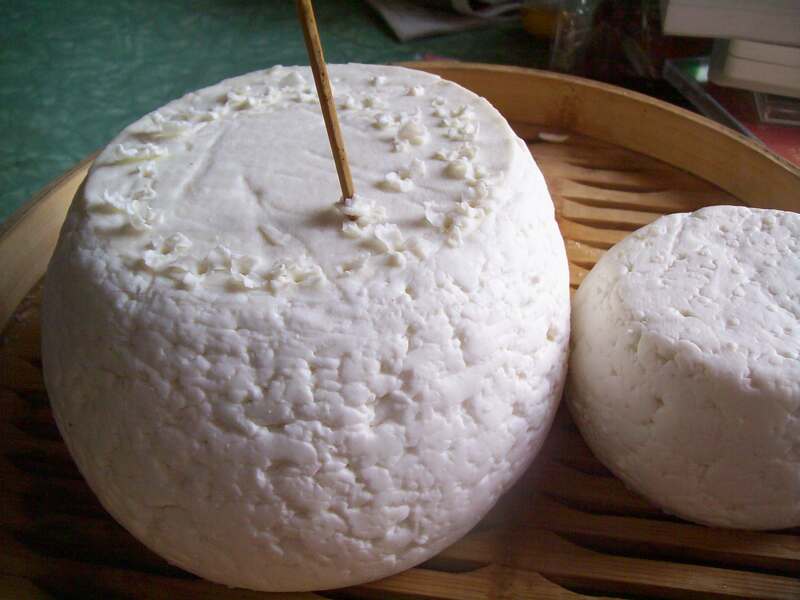 I have to let go of a few lofty notions I have about cheese to do this…mostly the notion of having fresh milk. So I will concede to using whatever I can find. But my other notion, of making really simple cheese with simple and easy to understand ingredients I am not ready to concede. Just what exactly are in those little packets of dried stuff one adds to make cheese and how exactly can one get around them? As an aside, I am all for liquid rennet, as I cannot imagine making my own. I have seen the pictures and they are gross. 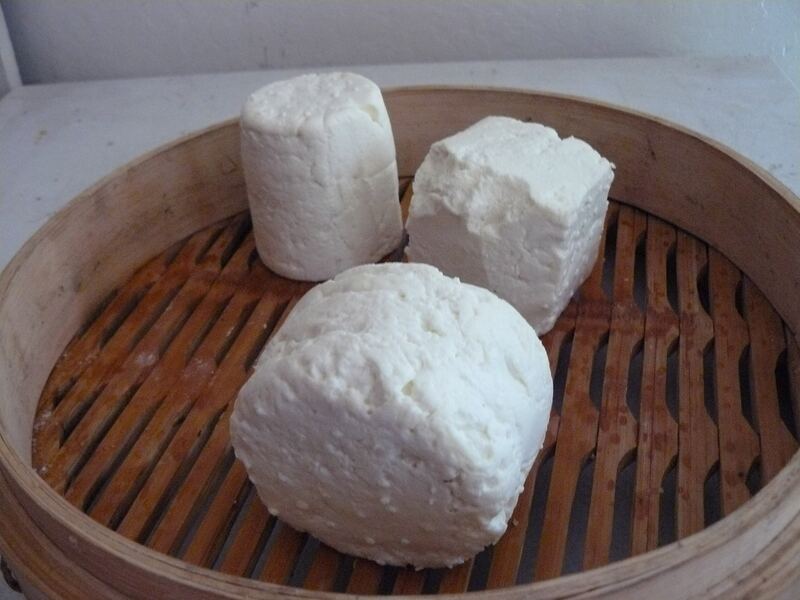 Your cheeses look awesome! I bet they’re delicious. 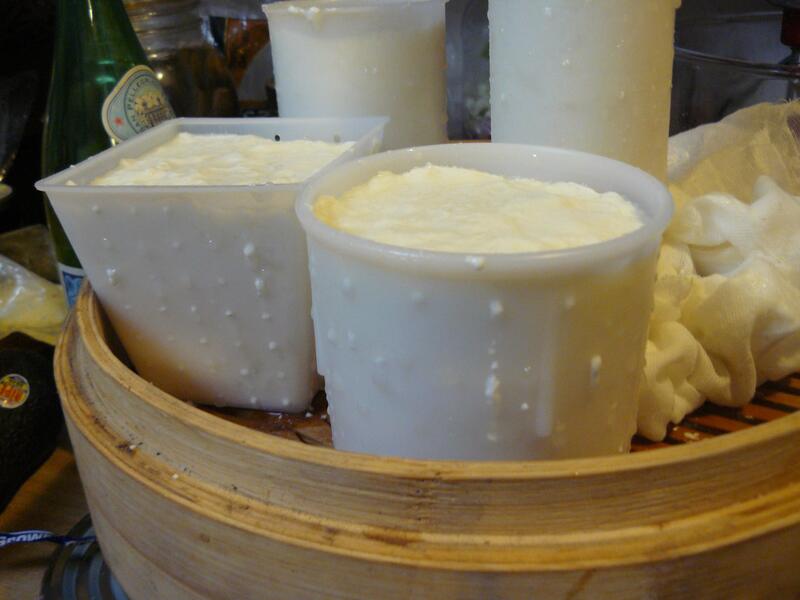 I’ve been dabbling in cheese making for several months now, and look forward to advancing to mold-ripened cheeses. Many posts back, you wrote of a potential goat co-op; I assume it’s not happening since you have you own beauties now. Any chance you could put me in touch with folks who may still be interested in such a set-up? You don’t strictly need packets of starter culture, but they increase your chances for success. You can use yogurt or buttermilk instead, but there’s no guarantee that the necessary bacteria will be live and active. A happy compromise (i think) is to buy packets for re-culturing: you know what you’re getting and can replanish your starter. Ice cube trays in the freezer work well. 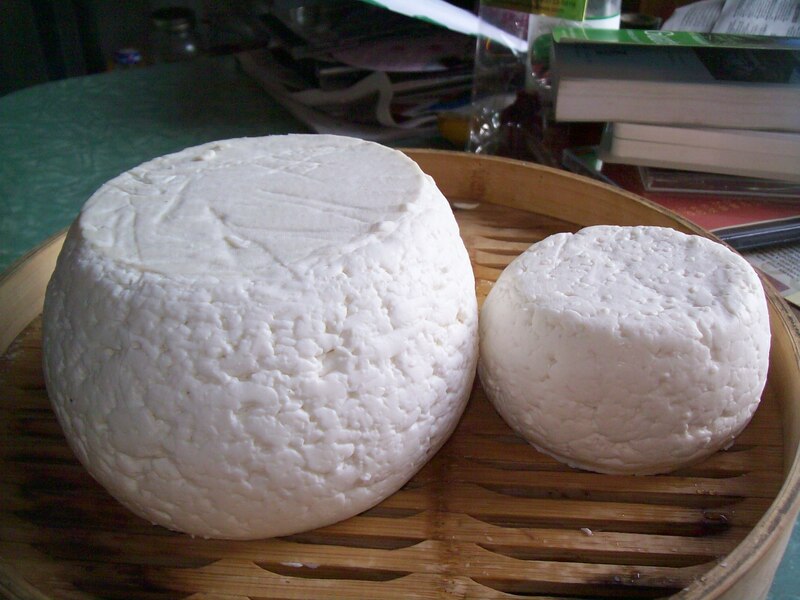 You can go without rennet for a panir style cheese, but otherwise it’s a necessity. I definitely would be interested as well. ah, the goat coop. it was a genius idea but our location fell through. that was the really stickler–you have to have a good big place for the goats. i ended up compromising by getting dwarf goats and haven’t regretted it at all. most of the co-op has moved on to other pastures (har!). i would suggest finding a centrally located host for the goats, then try to find co-op members/milkers, then get the goats. i’m looking into a bigger space and might need help, if you’re interested, let me know. i know, i’m wondering how the french do it exactly. i know they aren’t opening up powders or throwing in ice cubes of starter. i think they might be making cheese every day and use parts of the previous day’s culture to keep it going. something i can’t really do. i’m hoping to find out the answer at the cheese event at the pasta shop! will keep you posted. you can use veg rennets made at home: cardoon flowers can be used, and i think fig sap. i’m sure we’ll have male kids and i could make my own rennet, but that is pretty advanced topics. the cheese closet is just our guestroom closet, which is really cold (55 degrees) in the winter. 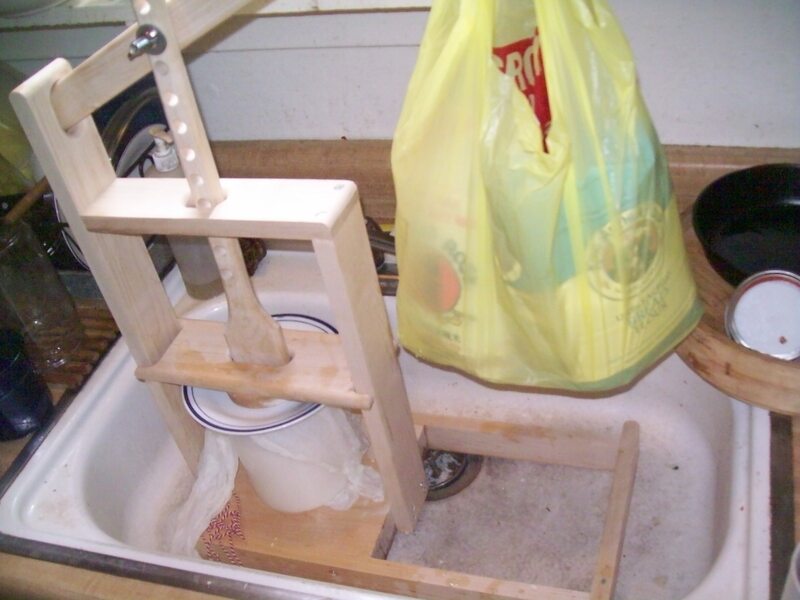 i’ve heard that an old little fridge can be modified to make a good cheese cave. 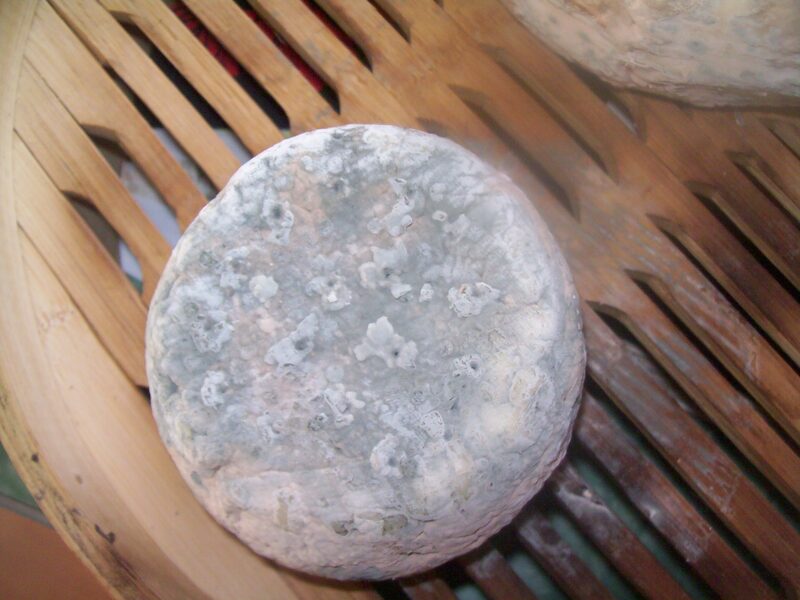 it isn’t humid enough, so the blue cheeses are kept in a box with water. in the summer, i’ll have to move the cheese. not sure how long it can go before the fat goes rancid. but it’s a thin layer and can be cut off before consuming. 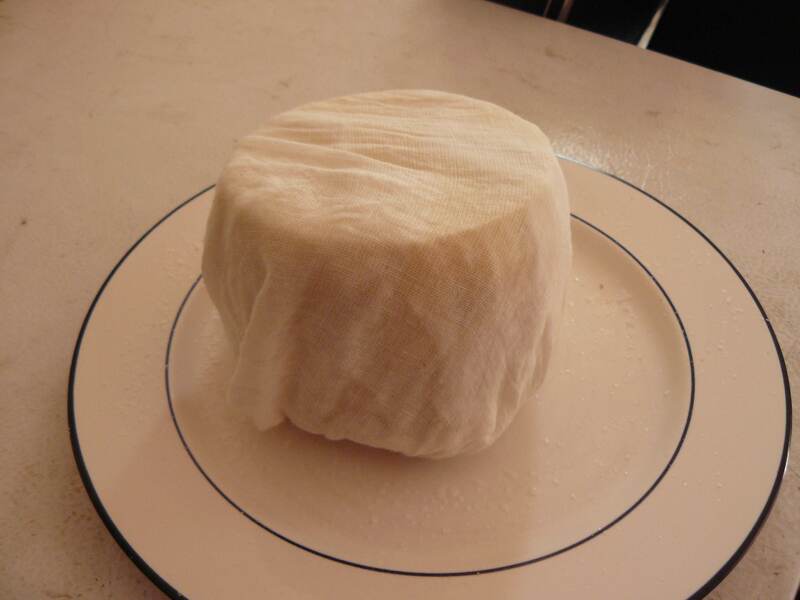 i’m going to find out more about the bandaged fat covered cheeses at the event at pasta and co. Thank you so much for letting everyone know about the cheese discussion at The Pasta Shop. We had a great time, and it was also really nice meeting you. You’re super cool! I hope we didn’t seem like total dorks! Keep up the great work. I’ve been showing this post in particular to all my friends, and the most common reaction from them is, “Whoa! I want to make my own cheese!” As do we all. A recent inquiry prompted me to write a post on how urbanites can get local, sustainably and humanely raised meat (on my blog about being a vegan-turned-hunter). I was glad to have your book to suggest, your Farm City site to link to, and your forthcoming how-to book to mention. I read your book last night and was up until 3. I cried through the whole thing. It is so wonderful. I also giggled a lot. Thank you! I love your site, your writing, and living vicariously through your experiments. 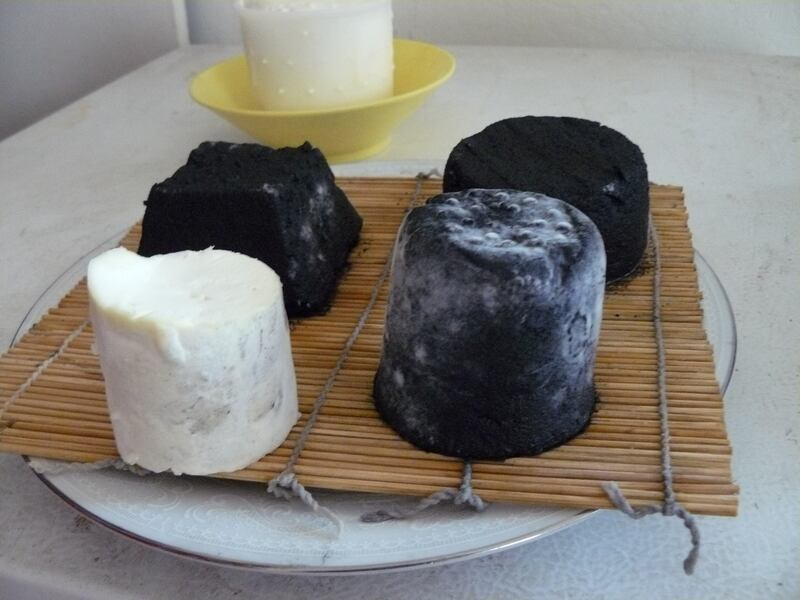 Your cheeses look amazing. I wanted to pass along the best website I’ve ever seen on all things GOAT, in case you haven’t seen it. http://www.goatbiology.com/ Absolutely chock full of useful information, presented in a really accessible way. thanks kristen, i’ll check out the goat bio site, sounds awesome. 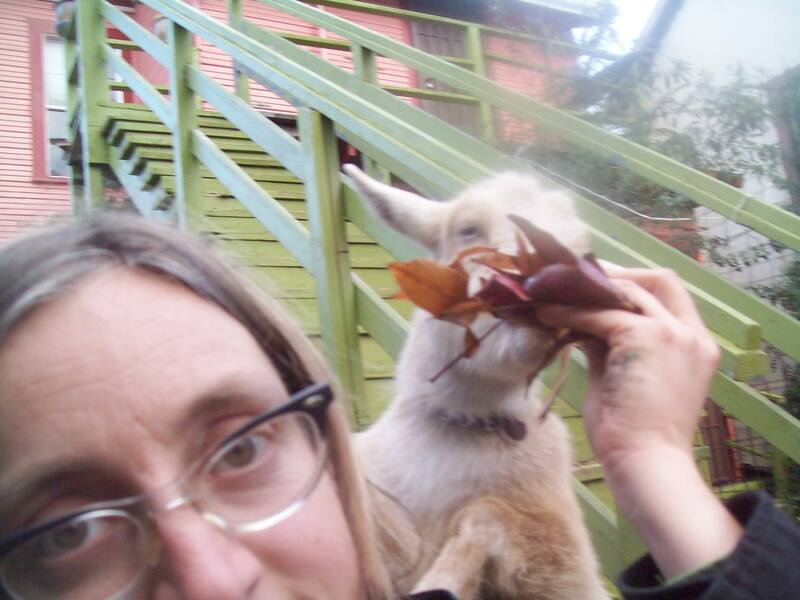 maybe i’ll do a baby goat watch after my girls get knocked up this spring….